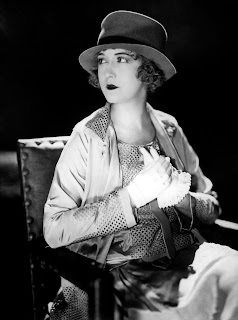 In her seven-decade career, Dorothy Gish was aleading lady of the theater and a pioneer in film and television. She was born on March 11, 1898, in Dayton, Ohio, but soon moved to New YorkCity. Burdened by business failures, her father abandoned his family, leaving her mother, Mary, alone to care for Dorothy and her older sister, LILLIAN GISH. To help make ends meet, Mary found parts for the girls in theater productions. Dorothy made her stage debut at four, playing a boy in East Lynne. After years of touring, she had her greatest early success playing a waif in Dion O’Dare (1907). In 1912, the Gish sisters were introduced to film director D. W. Griffith by their old friend Gladys Smith, who had adopted the stage name MARY PICKFORD. Griffith immediately cast them in An Unseen Enemy (1912). Dorothy went on to appear in more than 60 of Griffith’s movies, though he was more drawn to Lillian and generally gave her better roles. 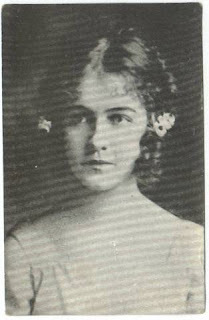 Only under pressure from Lillian did Griffith agree to cast Dorothy in his World War I epic Hearts of the World (1917). She stole the movie with her comic portrayal of the Little Disturber, her favorite role of her career. Her performance made her one of the most soughtafter comedians in silent film. 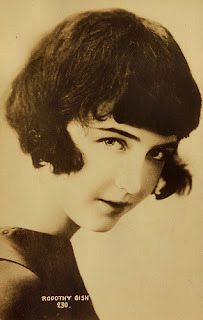 Under the supervision of Griffith, Dorothy Gish made a string of comedies released by Paramount under the banner “the Dorothy Gish Artcraft-Paramount Series.” With titles such as Peppy Polly (1919) and Flying Pat (1920), these movies took advantage of Gish’s natural exuberance and gift for pantomime, which earned her the nickname “the female Chaplin.” One of her most successful Paramount comedies was Remodeling Her Husband (1920), a romantic comedy directed by her sister and written by Dorothy Parker. Gish married her costar, James Rennie, in 1920. She and Rennie were divorced 15 years later but remained friends. Although comedy was her forte, Gish occasionally appeared in drama. Perhaps her greatest film was Orphans of the Storm (1922). The Griffith classic had her starring opposite Lillian as a blind woman caught up in the turmoil of the French Revolution. Hitting a career slump in the mid-1920s, Gish made several British films with director Herbert Wilcox, including the highly successful Nell Gwyn (1926). Her final English film, Wolves (1930), was Gish’s first talking picture. Considering it a failure, Gish retreated from film work. She made only four more movies; her final film, The Cardinal, was released in 1964. Gish continued her acting career onstage. In 1928, she had a successful run in Young Love, which also starred Rennie. Among her many other Broadway triumphs were Brittle Heaven (1934), Missouri Legend (1938), and The Magnificent Yankee (1946). In her last theater role, she shared the stage with Lillian in The Chalk Garden (1952). In the 1950s, Gish began a new career, performing in live television dramas. Her television credits included “Harvest” (1953), which also starred James Dean, and “Morning’s at Seven” (1956). In the 1960s, Gish’s health began to fail. Shewas living in a sanitarium in Rapallo, Italy, when she died of pneumonia on June 4, 1968, with her devoted sister at her bedside. Gish, Lillian. 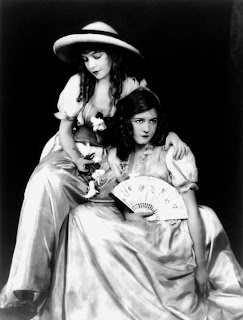 Dorothy and Lillian Gish. New York: Scribners, 1973. The Cardinal (1963). Warner Home Video, VHS, 1994. Harvest (1953). Timeless Video, VHS, 1996. Orphans of the Storm (1921). Image Entertainment, DVD, 1998.